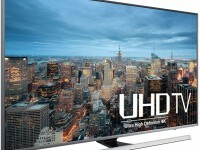 Talking about 60-Inch Smart 4K UHD TV, especially for the basic model, then Samsung UN60JU6500 and LG 60UF7700 are two models that We can’t ignore. 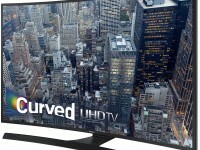 Along with Samsung UN60JU6400, UN60JU6500 is positioned as the basic model for 60-Inch Smart 4K..
UN40JU6700 and UN40JU6500 model come up as your choices when you are looking for 40-Inch Smart 4K UHD TV and you prefer basic one as well as Samsung as your brand. 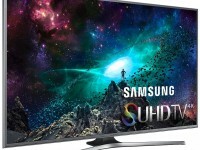 Samsung UN40JU6700 comes as part of JU6700 model that was..
UN55JS7000 and UN55JU7100 model from Samsung’s 2015 TV lineup can easily steal your attention when you are looking for 55-Inch Smart 4K UHD TV and you still prefer flat panel model than curved panel one. 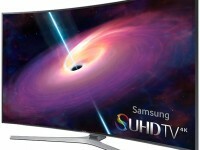 Samsung UN55JS7000 is currently the.. 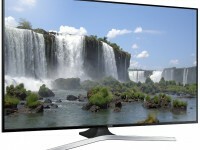 When you are looking for the comparison between Samsung UN65JS8500 and Sony XBR65X850C, I guess You want to upgrade your entertainment screen into the new 65-Inch Smart TV with 4K UHD picture resolution. 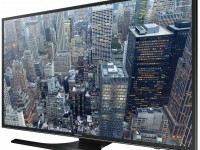 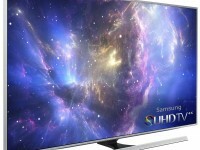 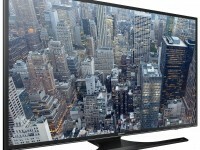 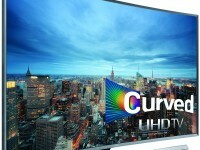 Samsung UN65JS8500 is positioned as the top model..